Commodore fans remember when Simi Shittu announced his commitment to Vanderbilt, becoming the highest-ranked commit in school history. They know that the record was previously set by Darius Garland, Shittu’s future teammate, just nine days prior. Commodore fans never glaze over the names Darius Garland and Simi Shittu. What fans may not recall, however, was the way this historic freshman class started to come together. In September of 2017, roughly two months prior to Garland and Shittu’s commitment, Vanderbilt locked up their first commit: Aaron Nesmith. The 6’ 6”, 213-pound freshman guard is not to be overlooked. With tip-off just hours away, it’s time to get to know the third member of this historic class of basketball players. Before his commitment, the South Carolina native drew plenty of attention from top-tier schools. Then again, receiving nearly forty offers is to be expected from a player with this kind of high school resume. In his time at Porter Gaud high School, Nesmith logged over 2,000 points, was a three-time South Carolina Independent School player of the year, was named the Charleston Post and Courier’s Lowcountry Player of the Year, and received both of those honors a second time, all en route to leading his high school team to two straight state championships. Oh yeah, and he also beat out the top recruit in the this year’s class, Zion Williamson, for the South Carolina Gatorade Player of the Year. Being overlooked is nothing new to Nesmith. If his high school opponents had learned anything from him, it’s that very mistake: don’t overlook Aaron Nesmith. Just ask Seventh Woods, a former high school phenom, now playing at the University of North Carolina. Nesmith was just a sophomore when he faced off against the Seventh Woods, a senior at the time, and the Hammond School. It didn’t quite go as planned for Porter Gaud, as they lost on the road by just five points. Perhaps it was this crucial win that made Woods overlook Nesmith. Lucky for Nesmith, he was given one more chance. Only this time, it was on the biggest stage: the South Carolina state championship, which also happened to be Seventh Woods’ final game before graduation. In Nesmith’s redemption game, he scored 16 points and went home with a state championship. That’s exactly the fight that head coach Bryce Drew wants to see in the young talent this season. 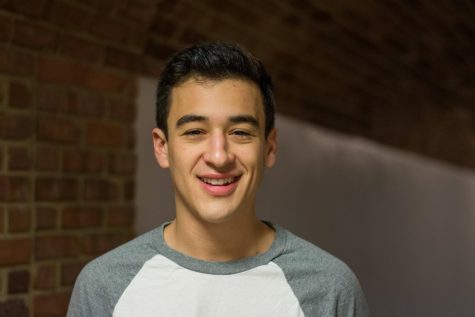 His will to succeed at all costs makes him a perfect fit for Vanderbilt, a school with fewer resources than other SEC schools, and a much more rigorous academic program. In fact, that academic prestige is one of the many reasons Nesmith selected Vanderbilt. 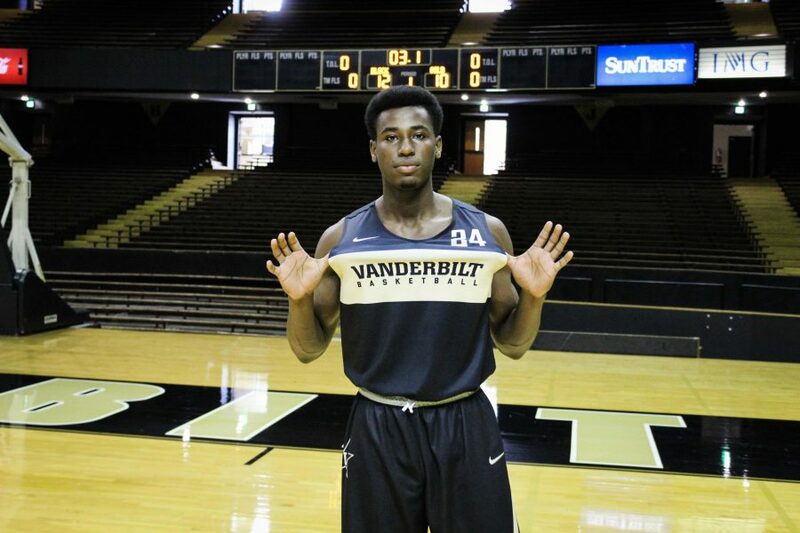 While Nesmith is a freshman at Vanderbilt, his brother is a sophomore at Harvard. Their success in the classroom seems to run in the family, but Nesmith believes that success stems from the same reason he has become such a talented basketball player: his parents instilled a hard-working attitude early on, which encouraged him and his brother to do everything the right way: by giving 110% effort. Drew has noticed that familial tie since the recruiting process. Expect his hard-work to pay dividends early on in the season. Nesmith has been working on the transition to college ball since he arrived in Nashville, and coaches have taken note. Drew pointed specifically to his handling and physical stature as facets to improve thus far. Nesmith has constantly been in the gym, both over the summer and in the fall, to ensure he’s ready for opening day. Players as versatile as Nesmith don’t come around too often, and Drew acknowledged just how much Aaron Nesmith will bring to the table. When asked how he sees the incoming freshman contributing to the team, he gave a laundry list of uses, covering nearly all angles of the game. In short, he can do everything. Don’t believe it? See it for yourself, starting Tuesday night in Memorial Gymnasium. Being overlooked is nothing new to Aaron Nesmith. Time and time again, he’s simply proved those doubters wrong.